Silver Willows is home to two rental cabins on four acres of land just outside Yellowstone National Park. The Sarva (built in 2010) and Ursa (2016) cabins feature many of the comforts of home with a mix of rustic charm, and is a great home base for visitors to Yellowstone and the Beartooth Wilderness. The cabins are found in the small town of Silver Gate, Montana, 1 mile outside of Yellowstone National Park's northeast entrance and 3 miles down the road from Cooke City. The Silver Gate/Cooke City area is popular with wolf watchers (the Lamar Valley is a short drive away!) and park visitors looking to get away from the hustle and bustle of the larger border towns, as well as winter sports enthusiasts who come to take advantage of the recreation opportunities in the Beartooth Mountains. Silver Willows is located on 4 acres of woodland bordered by Soda Butte Creek, which runs through the property on its way into Yellowstone National Park. The larger Sarva Cabin sleeps up to 9 guests on two queen sized beds (1 in the master, 1 in the loft) a queen sleeper sofa, and twin bunk beds and a futon (both of which were added in 2016). Ursa Cabin sleeps up to 4 guests, with a queen bed downstairs and two full beds in the loft. 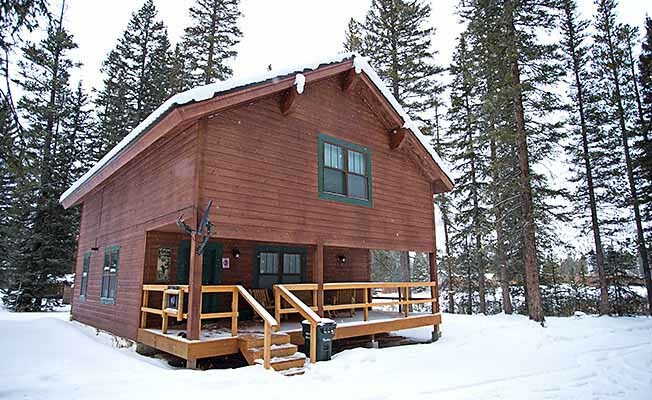 Whether you want to enjoy the wonders of Yellowstone, a quiet picnic at the creek or a snowmobile ride in winter, Silver Willows is the perfect getaway.